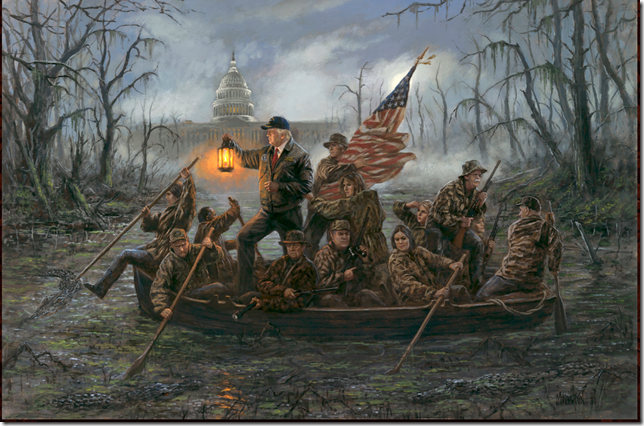 Below is John McNaughton's latest painting entitled Crossing The Swamp. Mr. McNaughton is an artist of world renown with previous paintings like The Forgotten Man & Respect The Flag. The administration officials in the painting above are from left to right: Nikki Haley, James Mattis, Ben Carson, President Trump, Jeff Sessions, Mike Pence, Melania Trump, Mike Pompeo, Sarah Huckabee Sanders, Ivanka Trump, John Bolton, Kellyanne Conway, & John Kelly. 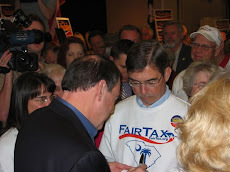 Click here to hear Mr. McNaughton explain why he wants to be on that boat crossing the swamp. I hope we all get on board. As of today Trump has improved the economy - whether this is enough for him to win re-election is not known. He has perhaps the male vote. 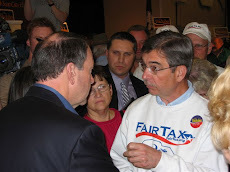 I do not believe he has the female vote as they are more liberal. See what happens. Doug - You live in a different universe from me, which is the only reason why I can think you would publish something as laughable as this. What did Trump and Putin discuss in that closed meeting? Why doesn’t he publish his tax returns? Why is he vilifying Mueller and Rosenstein? Why are so many people who work for him under investigation, fired, forced out or leaving under a cloud of ethical violations? When did you quit being a Libertarian and become some kind of weird crackpot Trump supporter? And you don’t even bother reading his crazy tweets, now I know why. You are too busy imagining that he is George Washington reincarnated. You have managed to shock me Doug and these days that ain’t easy. Let’s also add petty as one of his outstanding characteristics. How could ⁦‪@realDonaldTrump‬⁩ sign the John S. McCain Defense Authorization Act and speak for 25 minutes without mentioning ⁦‪@SenJohnMcCain‬⁩? He even left “McCain” out of the name of the bill he signed into law. Memory loss? Unhinged? Bad staff work? My hero is a man who was captured. My hero is NOT a draft dodging, bone spur petty child. Just saying. This is great! All aboard! I love it! Sessions doesn’t belong in it though! Have seen this on FB, close to being real. I have a new line on global warming, that it is part of evolution, the same as earth quakes, volcanoes, earth's plates moving, and the sun rays, and extinction of dinosaurs. The left leaning so far have no return argument. Stops them “Ice Cold”.